The Coach House & Garden Suite at Kilmokea. All these rooms can be rented together for large parties or rented separately for smaller groups. Our Coach House accommodates up to 9 guests in three rooms, The Orchard room sleeps four, a double & 2 singles and The Tulip suite sleeps 5, a double room and double doors leading to a triple room. A large kitchen/sitting room downstairs. 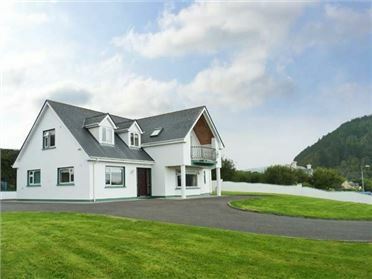 This house interconnects with The Garden suite which sleeps 4 in The Iris double room and the Clematis Twin room. This apt has a sitting room with kitchen too. The Hellibore triple room is on the ground floor of the court yard, adjacent to the coach house and The Cherry room, a double too can both be added to your rental for larger groups. When renting either the Coach House or Garden Suite you can all use our indoor heated pool, tennis court, croquet lawn and Gym complimentarily as part of your rental. You have private use of the Orchard for your barbeque and access to seven acres of heritage gardens. You also have the opportunity of reserving a table for dinner in the dining room of the main house or lunch in the garden conservatory during your stay. Restored in 1999, the Coach House contains a mix of exciting and unusual features. The ground floor contains a large Drawing room/Kitchen with a wonderfully high vaulted ceiling housing the Minstrel's Gallery. It has a modern kitchen which is equipped to the highest standards with electric cooker, microwave, dishwasher, fridge/freezer, washing machine and tumble dryer. The Coach House has a colour TV, Video and a CD music system, oil-fired central heating and an open fire place.